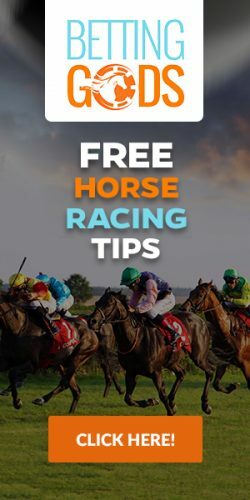 Handicapping Horses - Learn how to Handicap! Handicapping Horses – Learn how to Handicap! Winning money betting on the horses all begins with learning how to handicap the horse races. We’re going to give you a lot of help by teaching you basic and advanced techniques that will give you the edge at the racetrack. You’ll even be able to impress your friends with your handicapping expertise! The process of using available information to identify and find a winning horse is called handicapping. Those who master this process are called handicappers. These are two words you will hear used very often at the racetrack and betting windows. Handicapping requires an ability to analyze data found in what are known as the past performances. The past performances give you a complete picture of a horse’s career. Once you learn how to read the past performances you’ll have a better idea of the chances of any given horse in a race. Handicapping can tell you if the horse is fast enough to outrun its rivals, whether or not it is racing in an appropriate race for its skill level, and even reveal any possible physical problems the horse may have. To be a good handicapper also requires a good deal of intuition. You can also use the data provided in the past performances to envision how a particular race will be run. You’ll be able to anticipate which horses will be on or near the lead and which horses will come from behind. Handicapping is an intellectual puzzle! Many people enjoy handicapping the horse races because handicapping is an intellectual exercise similar to chess. You must always be thinking three or four steps ahead of your fellow bettors at the racetrack. There is a lot of information to consider, but EZ Horse Betting can teach you how to evaluate that information quickly and accurately to improve your odds of picking a winner. Speed figures. Pace. Class. Form. Workouts. Trips. These are all terms you will become familiar with if you take a little time to study our website. Are you ready to begin learning the fine art of handicapping? Okay, then We’re off to the races! Should You Bet Odds-on Horses?